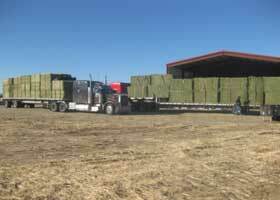 We established Fisher Trucking, Inc. (FTI) to gain even more control of the wheat straw and alfalfa bales we sell, because transportation plays such a big part of the service we provide our customers. 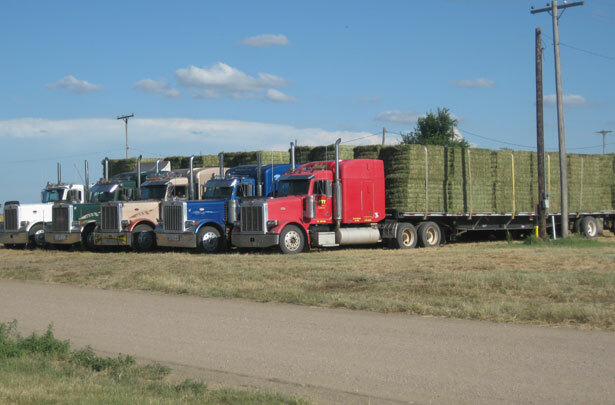 Being in total control of our transportation means we can schedule loads and get them delivered when our customers need them, which is part of our commitment to you. 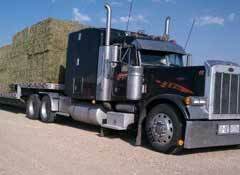 Our drivers have been with us since we started, which is almost unheard of! They will get the job done on schedule and correctly. 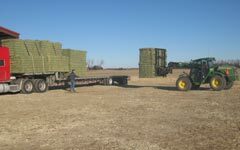 Our drivers understand hay and enjoy hauling it (well most of the time). 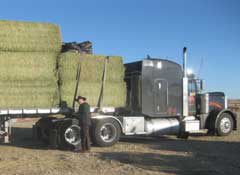 Product leaving here on our trucks guarantees that delivery will be there when we say it will be. 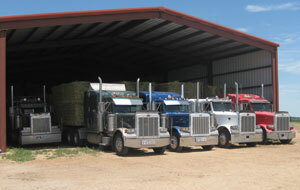 FTI provides the most efficient trip and weather protect when necessary. (c) 2018 Fisher Alfalfa. All Rights Reserved.